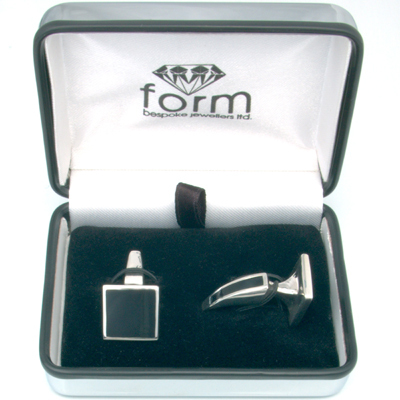 Silver ‘Coordinate’ Black Enamel Tooth Cufflinks — Form Bespoke Jewellers Ltd. 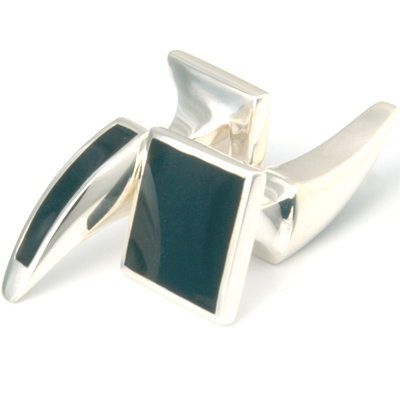 The versatile ‘Co-ordinate Range’ has been designed to compliment any outfit. You can match a material swatch or pick from a selection of coloured enamels for an immaculate finish.